Shared by Anna Merkaba “Archangel Metatron and Merkaba is forever entwined in my consciousness. It was from opening of my Merkaba that I was introduced to AA Metatron, all that he is and all that he stands for. My meeting with AA Metatron begun with the activation of my Merkaba in 2012. Back in 2012 when I just started on my awakening journey, when I started hearing the voices of my guides and seeing various beings visiting me, I was guided to go on a trip that would completely change my life, bring me into full alignment with my soul purpose and allow me to see the truth of that which I am. This experience happened a few days before the Hurricane Sandy hit NYC. I was out of state but my family was there. I was sitting at my computer and working when all of a sudden I felt a jolt to get up and go outside. I wasn’t sure why, but felt an urge to sit into a lotus pose and begin to meditate. I closed my eyes and all of a sudden saw a six pointed start appear before me. It started to spin rapidly before me in a horizontal like fashion, entering my heart charka it begun to spin even faster. I could feel my heart begin to expand and an odd sensation of overall expansion begun to fill my whole body. I felt that I was expanding beyond my physical body. It was an odd sensation but what fascinated me the most was what this six pointed start proceeded to do. Once inside my heart it changed its position from horizontal to vertical with one end pointing up and the other pointing down, there suddenly it split into two equal triangles that now turned into pyramids, with one pyramid moving up whilst rotating in one direction and another moving down whilst rotating in another direction through my whole body exiting it and encompassing me fully. I was truly confused, but incredibly elated! I had no idea what was happening, but felt confident that I should embrace this experience. I was completely calm, and mesmerized by what I was seeing. I was excited that my beautiful six pointed star came to life! I did not know what it was, or what was happening. I had no idea that it had anything to do with a Merkaba because I have as of yet not heard of that name, nor did I know anything about AA Metatron. I knew nothing about this, not even that it was a representation of a heart chakra. At that time, I had only just begun to recover my physical body from a myriad of issues that it was plagued with. All I knew is that something BIG was happening and I needed to be a part of it. I then felt and saw bright white light that was pouring into my crown chakra and at the same time from my root chakra another white light was coming up through me. Right in the center of my spine and up the spine to my shoulders and spreading through my arms down to my palms and out of my palms two beams of light shot out, one from my left palm and another from my right palm, these lights started to merge and intertwine together in a form of a DNA, becoming stronger by the second. It almost felt like I was generating massive amounts of energy whilst at the same time receiving it from some unknown source. Finally, I felt ready and all of a sudden this spinning DNA shot out into the sky and I found myself clearly seeing the houses of my friends and family back in NY. I felt as if I was nearly floating, as if I was looking at everything from somewhere above. I felt a nudge to encapsulate their houses and their cars into some sort of energy bubbles. None of this was making much conscious sense to me then, but deep down inside I knew exactly what I was doing. I kept “going” from place to place making sure that everything was protected. I tried to do the same for the whole of NY only to hear that on my own I wasn’t strong enough, but that there were many such as me working on easing the blow, but that it had to happen and I shouldn’t worry because although there will be damage, it will not be as bad as everyone was anticipating it to be. I surrounded all the people I could think of and their belongings with this beautiful light. The only thing I forgot was my Dad’s car. And then just as suddenly, I was jolted back into “reality” completely exhausted, wondering what it was that I had just experienced. A few hours later the hurricane hit NY. There was a lot of destruction, houses next to the ones that I’ve managed to cover were damaged but all the places that were encapsulated into these energy bubbles, were fine. Except for the roof on my brother’s house it was ruffled up a bit, and… my dad’s car! All the windows were destroyed and it was in pretty bad shape. I simply couldn’t believe it! The only thing on my list that I've totally forgotten about, got completely destroyed, I was shocked!!!! What was it that I did.. and how did it work!? I continued to search for answers, and then a few weeks later I was led to an amazing book by AA Metatron, the name of it was “Metatron this is the Clarion Call” This book held the answers that I was looking for. It opened my eyes. 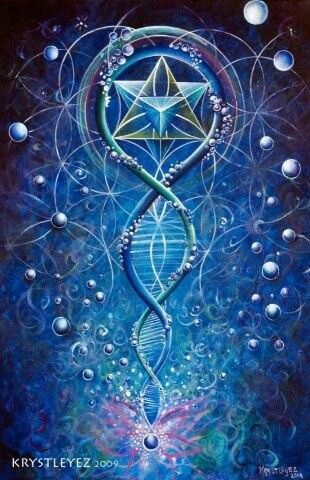 I practiced diligently, devouring each page, absorbing all of the information that it carried and finally I achieved the opening and activation of my Merkaba again! It was amazing! magnificent! Beautiful. That is how I have come to know AA Metatron who has become my guide for many years to come, making sure that I follow my divine birth plan for this planet and deliver what he had to say. A few months later Natalya Ankh has given me a beautiful disc which she said she received from AA Metatron specifically for me, because I needed it. It was such an incredible gift and such a gigantic confirmation that I was on the right path in my life. This disc has changed so much in my healing practice and meditation. It assisted me on so many occasions and I hope that it will assist you as well. AA Metatron Disc Protects the home up to 13 feet in diameter from wherever this disc is located. Assists in opening up of various gateways for key holders.